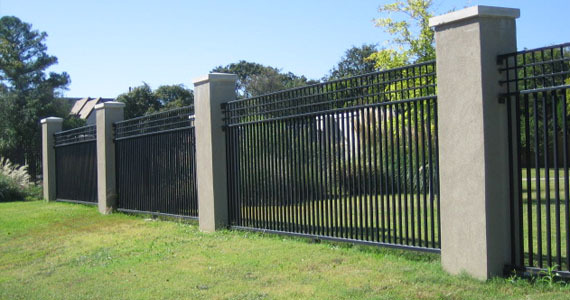 Dallas Fence Experts has a highly qualified team that designs, fabricates and builds new custom wrought iron fences for homes and businesses throughout the Dallas-Fort Worth Metroplex. 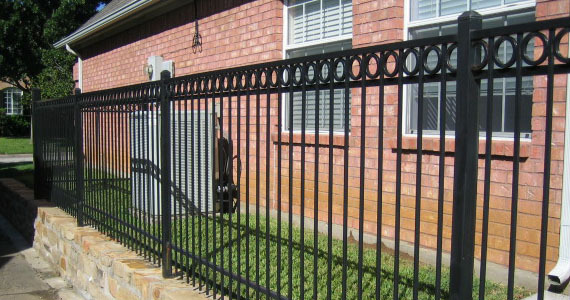 What Type of Iron Fencing is Available? 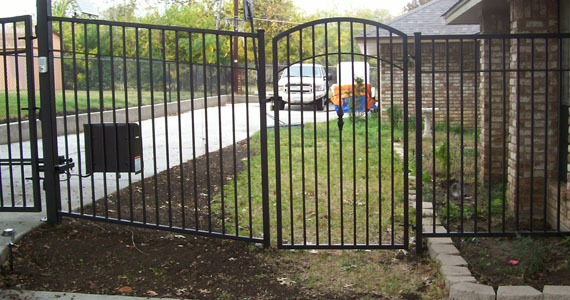 Wrought Iron Fences – high quality, durable and decorative, a perfect complement to driveway gates. It offers a protective enclosure with a spacious feel. All wrought iron fences are custom built at our fabrication shop. We also have prefabricated basic fencing as well. Upon request we will hot-dip galvanize for additional rust protection and each piece is pretreated with a powder coat finish. Aluminum Fences – great maintenance free choice, popular for swimming pool enclosures. Perfect choice if you don€™t want to worry about caring for your fence. It is lightweight and easy to install and ideal for hilly or sloped areas. Tip: Anthony suggests that you make sure your sprinklers do not directly spray your new iron fence. It can cause premature corrosion and rusting. 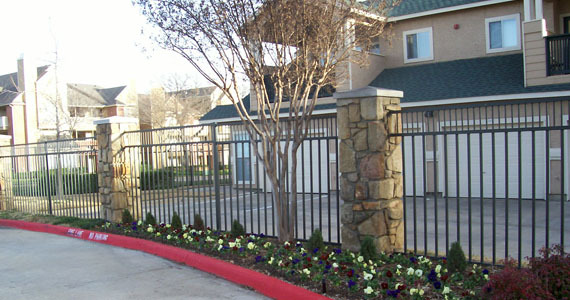 For over 30 years, Dallas Fence Experts has been designing and constructing new wrought iron fences. 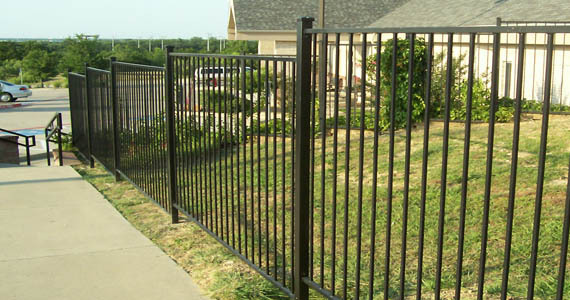 We have earned a reputation for using the highest quality of materials and the best fence for your money. Our custom iron fences offer high value and durability and their aluminum fencing is virtually maintenance-free. If you are interested in learning more about our custom wrought iron fence building services, would like a free estimate, or have any questions, please contact us.